This two-part documentary is a ground-level documentary on blue-collar strife from the folks at Kartemquin Films, and is finally being released as a two-parter thanks to the folks at Facets DVD. Part 1 is a 33-minute look at a seven-week strike at a small chain factory in Indiana during 1980, while Part II takes place four years later as labor and management work together, against the odds, in an effort to keep the factory from moving its jobs overseas. In a grand total of 63 minutes, filmmakers Jerry Blumenthal and Gordon Quinn have assembled a powerful, true story of blue collar challenges in this Indiana town. Part 1, in particular, is gripping as Blumenthal and Quinn capture the tension of the labor union meetings and the volatile picket line scenes during the strike's seven weeks. Filmed largely in black-and-white, "Taylor Chain" is perhaps more poignant for those familiar with the challenges of the region in which it is filled, the Lake County area of Indiana. 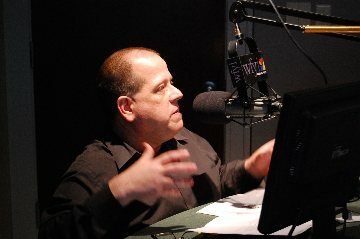 Lake County, which includes Gary and Hammond, was once one of the leading industrial areas of the country, but is more known these days as one of the highest crime regions in the country. It is impossible to watch "Taylor Chain" without reflecting on the rest of the story, a community that will fall into near chaos a mere 20 years later. It is difficult, and a bit unfair, to review a film such as "Taylor Chain, Parts 1 and 2." The film does not aspire so much for greatness, as merely to tell an honest and true story with integrity. In this, Blumenthal and Quinn undoubtedly succeed. 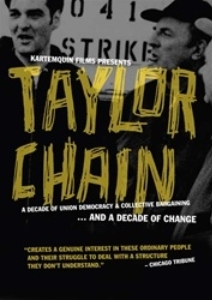 For more information on "Taylor Chain," visit Facets DVD.